Please let me know what names and date you'd like used & the best way to contact you. Within 2-4 days of your order, I'll send you a proof picture through email or Etsy convo, so you can make sure everything looks perfect, before it is printed. Thanks! 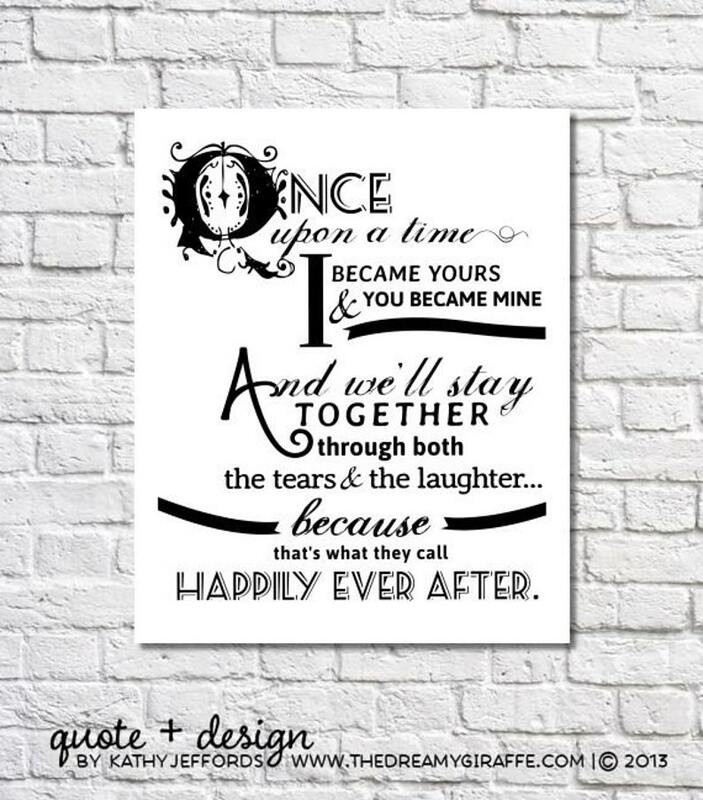 This typographic print features an original poem by me, Kathy Jeffords, because to me, happily ever after doesn't really mean that it's all sunshine and cupcakes...but that no matter what comes your way, good and bad, you stick together. ● You can give it an extra special touch by personalizing it with the happy couples names and wedding date at the bottom. (See second picture for an example). Just choose this option at checking out and be sure to let me know the names and date! Within 48 - 72 hours of receiving your order, I'll e-mail you a proof picture for you to take a look at and make sure everything is just as you want it, before I actually print and ship. © 2013, Kathy R. Jeffords. Please do not repost my work (words or images) *anywhere* without proper credit. As long as proper credit is given (the copyright information left intact on my pictures AND a link to my shop), please feel free to share my work on Pinterest, Facebook, your blog, etc. My work may not be used for *any* commercial purpose without my prior consent. Copyright not transferable with sale. As described. Met all expectations. Shipped quickly and arrived perfect! Loved it!